It seems crazy to me when I read that back, that yes, I willingly pay money to businesses and people in order to change the way I naturally am. We all do, whether it's getting a haircut, getting our brows waxed or wearing concealer, we essentially pay out our earnings to change something about ourselves. A lot of the time this is a perfectly acceptable thing to do, heck I have no problem paying a few quid on something to cover up my under eyes or fill in my sparse brows. There's nothing wrong at all in changing little things about our appearance to give us a bit more confidence, or purely because you like the way it looks. But not that long ago I realised I was making so many changes about myself that I'd forgotten who the real 'me' was. It was a few months ago when I had just gotten off the phone with my hairdresser to make an appointment to get my roots bleached (because 'God forbid anyone see my natural hair colour' my subconscious would say) that I started to think, 'Why am I paying so much money to change the colour of my hair?' For those of you who haven't endured the painful process of being platinum blonde, you're advised to get your roots re-bleached every six to eight weeks, and it costs roughly £100 each time. If I sat down and worked out how much money I've spent over the years so I could be blonde, brunette or any other colour I've adorned, I'd be pretty shocked at the number. I then started to think, who am I doing this for? Am I doing it for myself? Am I doing it because subconsciously this is what instagram and pinterest have told me what's 'pretty?' I started to ask my myself why? For years why have I essentially paid someone (a heck of a lot of money) to put a load of chemicals on my hair, to change the colour of it so it won't look how it naturally should. What is wrong with me?! After this 'epiphany' should I call it, I looked down at my patchy fake-tanned hands and thought, I'm basically doing the exact same thing with my skin. I don't even want to think how much money I've racked up on bottles of fake tan and tanning mitts over the years, and the same thought process went through my mind. Why am I spending money to change the colour of my skin? Whenever I put fake tan on I usually feel more comfortable in myself and feel generally better about the way I look. I want to break out of that mould and way of thinking and embrace my pasty white pale skin. I shouldn't feel uncomfortable or unattractive for being very pale. It was at that point I decided to stop bleaching my hair and let my own natural hair grow out, and to shelve the bottle of fake tan. It might seem like a very minute detail to care about, but I realised it has taken me so many years to finally accept something about myself. I finally changed the thought process that I need to look different in order to feel good about myself. I don't need to have more tanned skin to look good. I don't need to have bleached hair to be classed as 'beautiful'. I just need to be me. When I look back on photos from before I was thirteen, I see an incredibly happy person with no cares of how society thinks she should look, no worries about the shade of her skin not being appealing enough, not a thought towards her hair not being dark enough or the right shade of platinum blonde. Just a happy girl who was content in herself, in her image. I'm glad that I've finally got to a stage in my life where I don't need to reach for the bottle of fake tan before I leave the front door, where I don't need to worry about my roots growing out because hey, I love my natural hair colour. Where I don't need to spend money to change how I naturally am. It's taken me a long time to start finally accepting these things and it'll take a long time until I'm fully accepting of myself, but I've made a start that's the most important thing. Such a beautiful post. I've only just discovered this blog but so happy you have finally realised how superficial it all is! 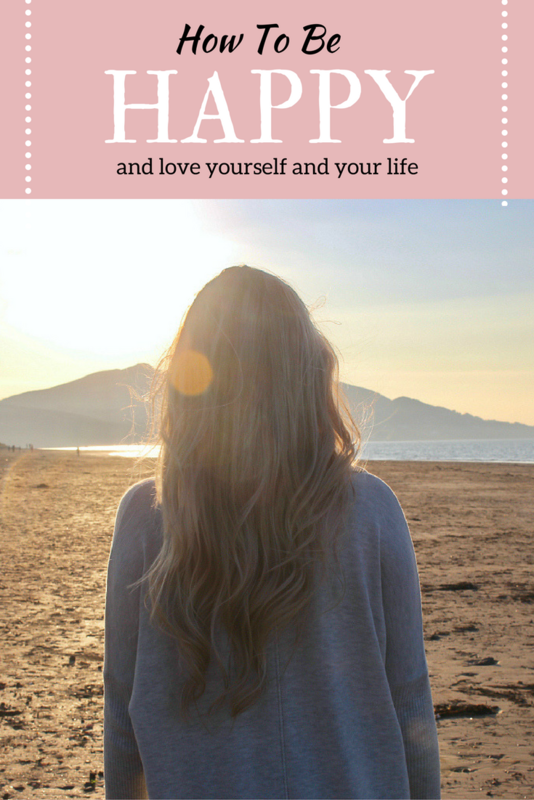 I wrote a post along the same lines last week but about the constant pressure to be thin. It's a sad world when this pressure is so prevalent and the sooner we can all accept ourselves for who we really are the better! easier said than done of course! Beautiful post! I recently experienced the same thing with dying my hair every six weeks because I started to get grey hairs. It was killing my hair and was getting very expensive. I finally embarrassed my grey hair and stopped dying it. My hair has never looked better and it grows like crazy now. I feel that once we are more comfortable with ourselves we get over trying to please others and start doing what makes us happy. Such a good read, growing up I always had low self-confidence but have definitely grew to love who I am.